Whether you are a Geography lover, or you want to decorate your kids' room and make it educational, you can benefit from map mural designs. Decorating walls with stylish murals are the 21st century's trend. People choose to decorate their rooms with map murals to perfect the delicate look, to brighten up their children's room, or add something unusual to their home design. You can also benefit from several map mural styles and add a stylish mural to your wall. You can look for best map mural ideas on muraledesign.com, while you read this article about the most popular map mural designs. If your living room is delicate and stylish with ornamented fireplace and classy drapes, you can benefit from a continental map mural all over the wall. This type of mural is especially good looking on high walls and gives the room even bigger look. It gives your room a beautiful accent and a delicate design. Maybe you are a traveller, and that's why you want to have a world map on your wall. Or maybe you are just an enthusiast of delicate styles. This type of map murals works great for your children's room. The process of education can be hard for some kids. It's better to combine fun and education and put up a simple world map on the kid's bedroom wall. Your child will have something fascinating and educational in his or her room. Small children love animals. They love asking questions about them, and they like learning more about them. You can once again combine the education and fun and put up a map that shows where in the world a certain animal lives. Be creative. Vintage maps are great for small rooms with simple decor. Large windows, a small working desk, and house plants go great with this style. You can choose an old-timey street map and create an unusual view in your room. Those who are in love with history will share the fascination with antique maps. They can be educational and simply interesting to look at. The 21st century is the era of TV shows that describe medieval eras and fictional universes. Game of Thrones, The Lord of the rings, Avatar the last Airbender, they are all fictional universes that include interesting and fascinating maps. You can appeal to your taste and put up a map of the middle east on your wall. Maps are not only on the earth, but they are also in the Outerspace. Outerspace maps are interesting and fascinating for adults and kids too. You can benefit from it in many ways. 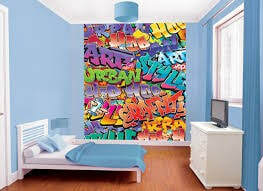 Be creative and follow the trend of indoor mural decoration. Your comfort and beauty only depend on you and your choices.